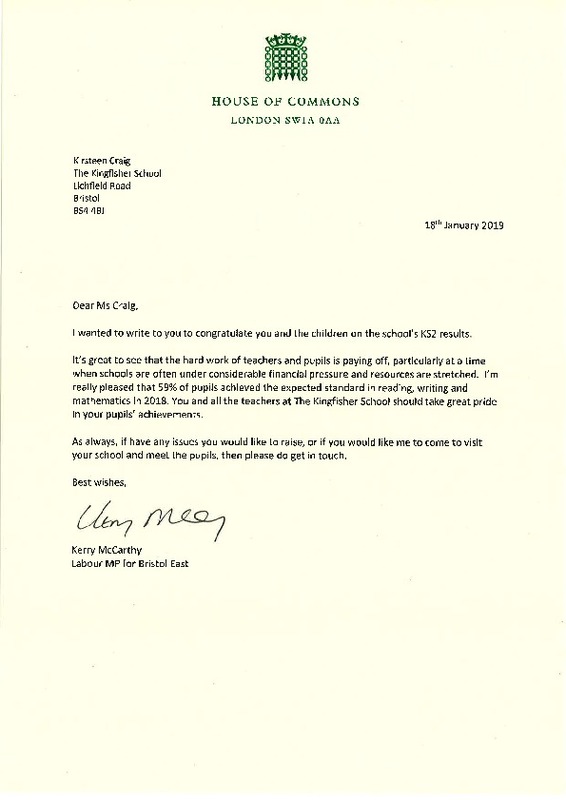 The Kingfisher School today received a letter from Kerry McCarthy, Labour MP for Bristol East, congratulating us on our improved Key Stage 2 results. Every member of the team at The Kingfisher School is proud to be a part of our children's education and their achievements. 59% of pupils achieved the expected standards - much improved results! Principal Kirsteen Craig and her team are immensely proud of every child at The Kingfisher School, past and present. Our new school building gives us greater capacity, both in numbers and learning potential and we look forward to the future.